The 2019 season marks coach Bob Wease’s 29th year as President and General Manager of the Turks and his 17th as Head Coach. Over that span, Wease has compiled a record of 472-293 and a winning percentage of .621%. The Turks have won the VBL pennant three out of the last seven years most recently won the Championship in 2012. The Turks were ranked nationally by Perfect Game; 4th in the country in 2011, 12th in 2012 and 7th in 2013. Wease was the Head Coach of the 2018 Valley Baseball League All-Star Prospect Team that traveled to Kannapolis, NC to compete in the Southern Collegiate Showcase for the second year. 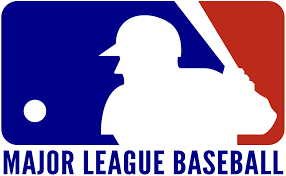 The showcase featured the Southern Collegiate League, Valley Baseball League, Cal Ripken Collegiate League, Sunbelt League and Florida Collegiate Summer League. The VBL played the Florida League and tied 5-5 and the next day they beat the SunBelt League 6-4. The VBL is the only league out of the five to go undefeated 3-0-1 over the last two years of the showcase. Wease played collegiate baseball and football at Shenandoah University before transferring to James Madison University where he played baseball under the legendary Coach Brad Babcock. 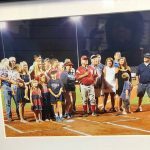 His baseball career also included playing in the U.S. Army, the local Rockingham County League, and in the Valley Baseball League. Wease was inducted into the Rockingham County Baseball League Hall of Fame, Class of 2013. As the youngest player ever in the RCBL at 13, Wease played for the Linville Patriots in 1958 until age 16. Wease then began his 7 year VBL career in 1960 for the Harrisonburg Turks, then with New Market Rebels in 1961-63. He didn’t play in 1964 due to a broken leg. Played in the US Army 1965-66. He was back in New Market in 1967, Harrisonburg in 1968 and with the Shenandoah Indians in 1969. He then returned back to the RCBL and played from 1970 to 1994 for numerous teams; Twin County, Grottoes, Linville, and Harrisonburg. He also managed the Linville Patriots and the Harrisonburg Chics, winning several championships. In 2016 Wease was inducted into the inaugural year of the Valley Baseball League Hall of Fame as a player, an honor that Wease is very proud of. 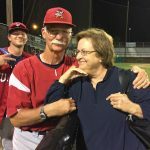 Coach Wease treasures his memories of the players that have played on the field of Veterans Memorial Park, watching their careers both in and out of baseball, and seeing the type of quality men that they have become. 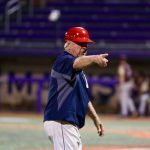 He maintains relationships with many of them that have gone on to coach at the college ranks and has sent players back to Harrisonburg to play. Coach Wease values the friendships that have been made all across the country of the players and their families that he’s had the privilege to know over the years. He enjoys staying in touch with them and hearing about the next path their journey has taken them. 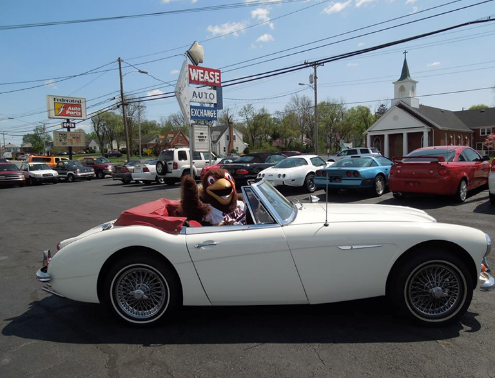 Coach Wease resides in Harrisonburg where he has owned and operated Wease Auto Exchange for 41 years. He is married to Teresa Wease. 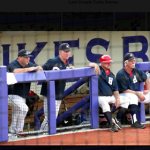 Together the couple have worked tirelessly since 1990 to build the Turks into a first class organization that the Harrisonburg – Rockingham County communities can be proud of and fans of all ages can enjoy. The couple has five children and nine grandchildren. Coach George Laase, will return for his second season with the Turks and his 12th season in the Valley Baseball League. In his first season with the Turks Laase managaed the pitching staff. His pitchers had a team 4.67 ERA. The Turks had two pitchers on the South Division All Star Team; Kyle Arjona and Rafe Schindler both from U. of New Orleans. The two Privateers and Turks teammate, Jake Brace from the Georgia Tech Yellow Jackets also played representing the Valley Baseball League Prospect Team in the Southern Collegiate Showcase in Kannapolis, N.C. Arjona signed a free agent contract with the Philadelphia Phillies after that. 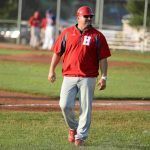 Coach Laase was the manager of the Staunton Braves from 2012-2017, leading them to the playoffs each summer, culminating in a Southern Division Pennant, Valley League Championship Runner-Up, and ranking as high as the 7th best team in the country during the summer of 2015. Laase also served as an assistant coach for the Braves for four seasons, and played for the Braves in 2003, helping them win the Southern Division Pennant. Laase was selected to be the pitching coach of the 2017 Valley League Prospect Team, headed by the Turks manager Bob Wease, who were co-champions and undefeated in the Showcase Games held in Kannapolis, NC. Laase played baseball at Division II Fairmont State University, where he was a four-year starter at second base, becoming only the 10th player in school history to have a career batting average of .400 or higher. 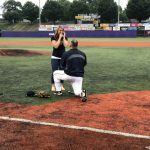 One of the most memorable moments of the 2018 season was when Coach Laase planned a very romantic marriage proposal to his sweetheart Jesse that took place on the field after she threw out the first pitch of the game representing Educators Night. Jesse said “yes” and our fans cheered! As any true baseball couple, they scheduled the wedding to take place after the 2019 Turks season in September. Congratulations and God’s blessings on George and Jesse as they begin their life together as Mr. and Mrs. Laase. Laase is currently employed as the Virtual Learning Coordinator at Staunton High School, where he serves as the head varsity baseball coach. His hobbies include spending time with his friends and family, attending sporting events, eating Italian food, and attending live music concerts. He resides in Grottoes with his fiance Jesse and mastiff named Moose. Bench Coach Mark Klosinski returns for his 13th year with the Turks. Mark enjoys the opportunity to work with college ballplayers who spends their summers at Veterans Memorial Park. The players thoroughly love Mark and his wit. 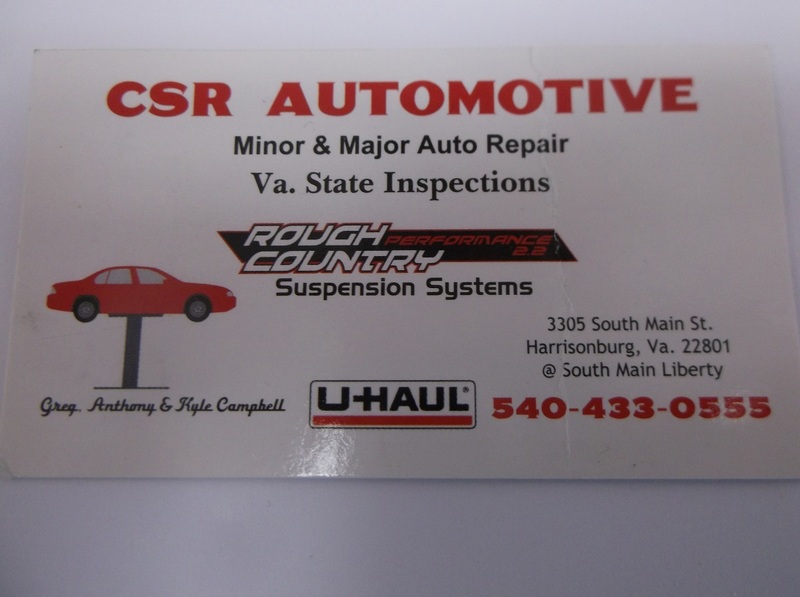 He is employed by Rockingham County Public Schools. 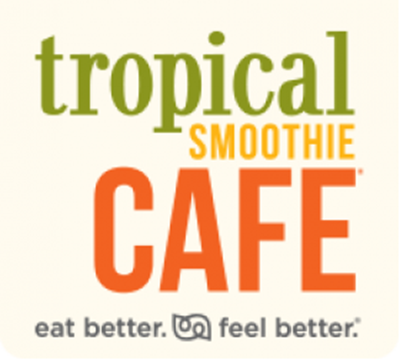 He is an avid cyclist and enjoys running. Klosinski organizes several community runs and rides to benefit non-profit groups throughout the year. Coach Klosinski resides in Harrisonburg. He is married to Lisa Klosinski. The couple has a son Kyle, daughter Greta and son-in-law Chase and granddogs Ellie and Piper.